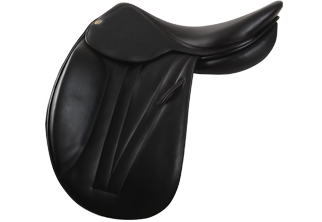 This beautiful calfskin lined leather stud guard girth has been designed for use with single flap saddles with long girth straps. 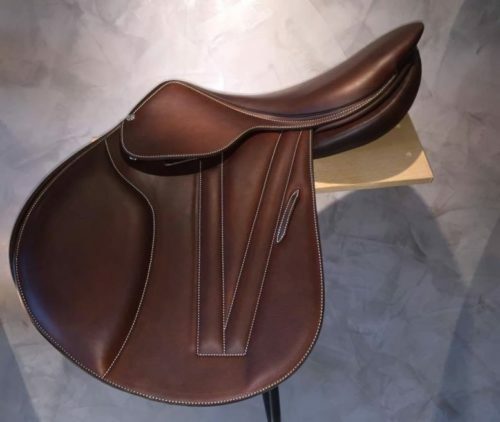 Handcrafted in the Butet workshop in Saumur, France, its outer surface is made of strong, durable cow hide, whilst the lining is made of supersoft calfskin, for the comfort of the horse. With a D-ring and karabiner clip to easily attach a martingale or breastplate to, the girth features the signature Butet elastic and comes complete with roller buckles to avoid damage to the girth.